We have carved a niche amongst the most trusted names in this business, engaged in offering a comprehensive range of Bottle Cap. Owing to the wide experience in this domain, we are instrumental in offering Plastic Jar Cap to our clients. Our client can avail from us wide range of Screw Caps With Brush which we customise it according to need of clients. 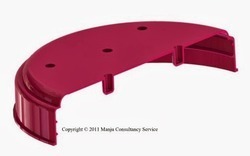 These are manufactured by suitable synthetic polymer material which we procure from reliable sources. These are inert so that content placed in it remain free from contaminations. We manufacture plastic bubble top cap with great efficiency. The designing of each type of cap is done by carefully selecting the right type of valve, cap, hole diameter etc. The bubble caps are also flat and perforated but have fixed risers over the bubble. 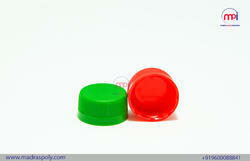 Owing to the presence of our expert team members, we have been able to offer a wide range of Plastic Jar Cap. Cat#: 020070. Size (Tube dia): 25 mm . Packing: 100.